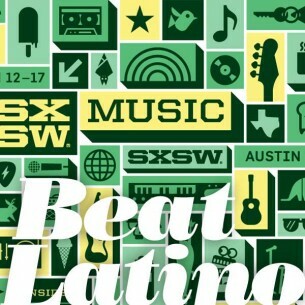 Beat Latino with Catalina Maria Johnson » SXSW 2013! Yes, it certainly is that time of year again!! Every March, tens of thousands of music lovers will descend upon Austin, Texas for the South By Southwest Festival, an annual indie music-avaganza. This week’s Beat Latino takes you along for the ride! A one hour preview of the many-hued musics of Latinos from Spain, Chile, Uruguay, Mexico and por supuesto, the USA that will grace the stages of SXSW 2013 – truly a magnificent testament to the many melodies and rhythms we can call our own. Enjoy!